What better way to celebrate a milestone than to savor a buffet of our most-loved and delectable Filipino food! 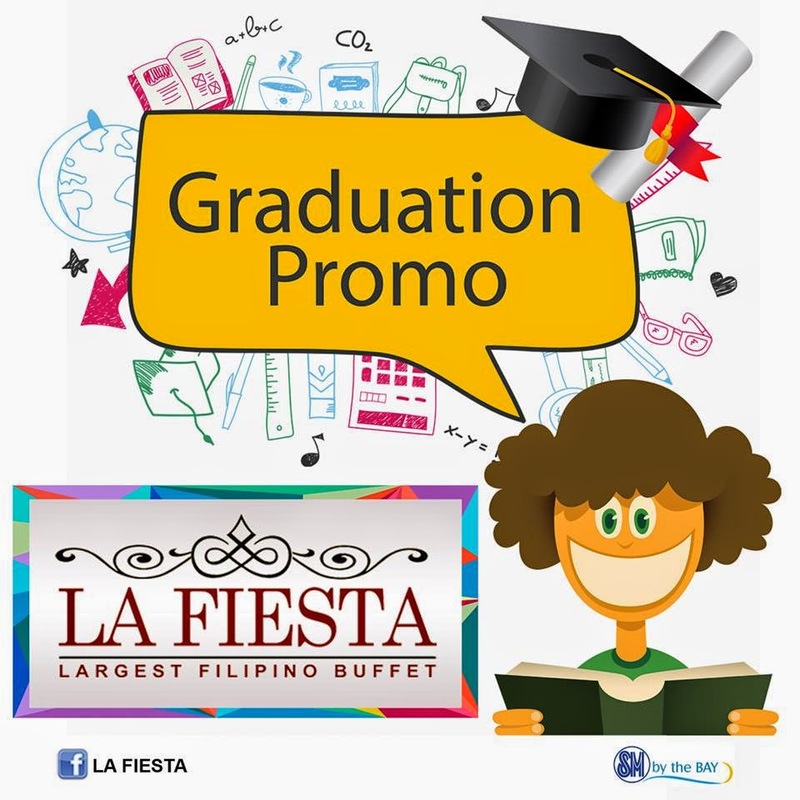 Check out La Fiesta Filipino Buffet Graduation Promo 2015. 2015 Graduating Students are eligible for 1 FREE BUFFET at La Fiesta branch. 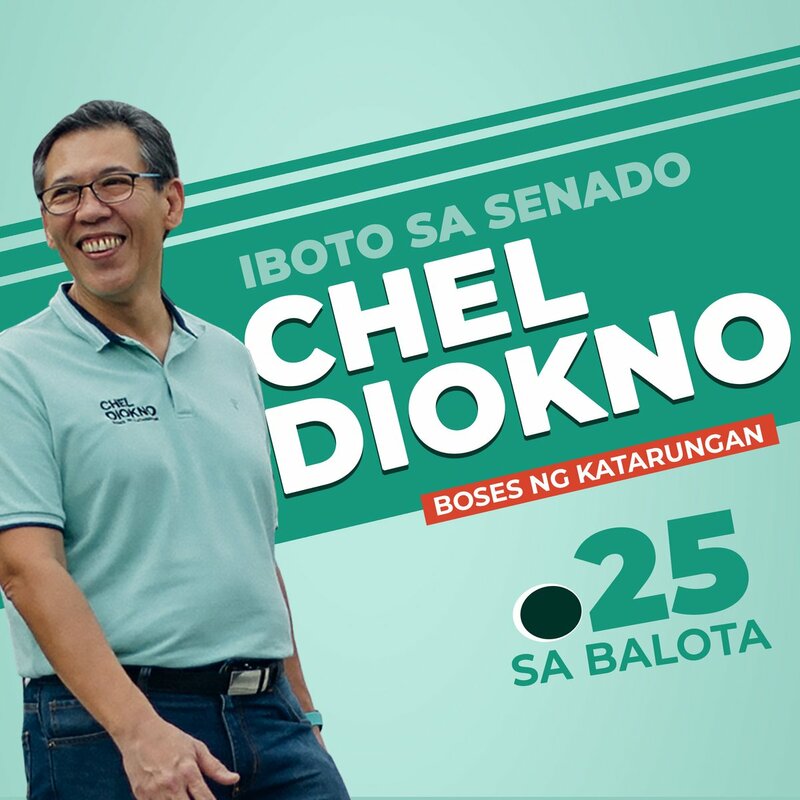 The Graduating Student MUST be accompanied by 3 full-paying adults without any discount to avail the promo. Rate is (1) graduating student plus (3) regular paying adult rates...so, it's a 3+1. All the Graduates of Class 2015 can only avail this promo. The Graduate should present any of the following: diploma, graduation photo, graduation list/program with the graduates name, ceremony invitation; supported by school ID. Promo is available on weekdays, LUNCH ONLY. Promo cannot be used in conjunction with other in-house promotion and discount. Promo runs from March 9, 2015 to May 30, 2015. La Fiesta Largest Filipino Buffet is located at SM MOA By the Bay Leisure Park (near Banzai and Buffet 101) at SM MOA Complex. 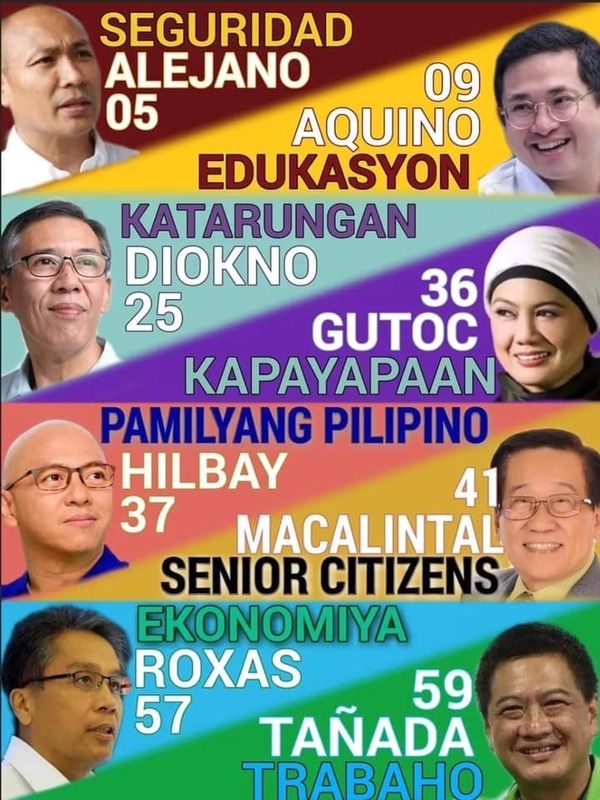 For more info, please call them at (+632) 556-1111 / (+632) 556-1222 / (+632) 556-1333. 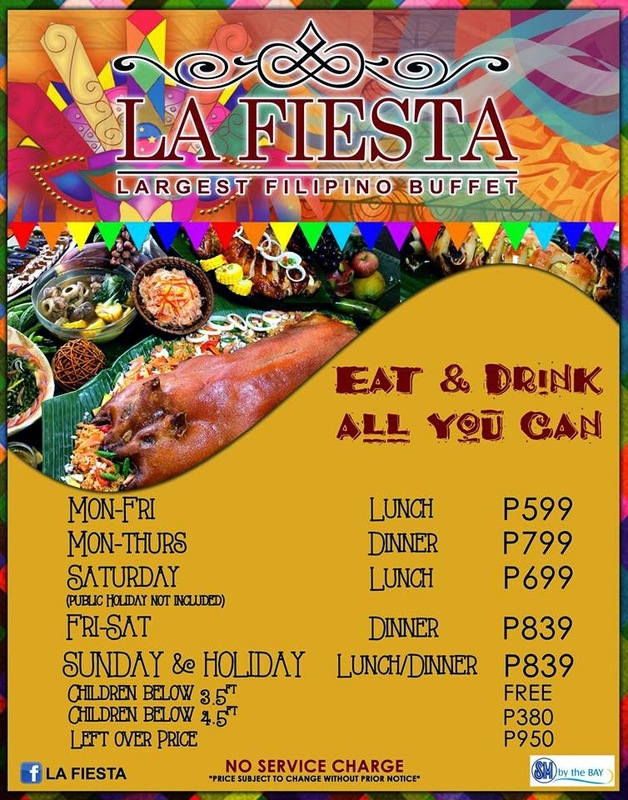 Check out also La Fiesta Buffet Birthday Promo HERE, and Group Promo HERE.